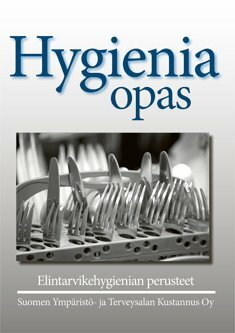 We offer the basics of food hygiene in Finnish, summarized into a 40 page, A5 sized book. The material has been tested with hundreds of test trainees and the feedback has been positive. The book is great for use in independent studying and in combination with the hygiene proficiency training. Layout and illustration are identical with the Finnish original Elintarvikehygienian perusteet book.